Hock Seng Lee Berhad (HSL)’s origins date back to the early 1970s when two brothers of the Yu/Yii family acquired a timber dredging vessel, M.T. Hock Seng Lee and established what was principally a sand dredging and land fill operation. The firm Hock Seng Lee Development Co. was registered in 1974 and corporatised to become Hock Seng Lee Development Company Sendirian Berhad in 1979. Dato Paul Yu Chee Hoe, the younger brother of the Yu/Yii family became the Managing Director, the position he still holds today in Hock Seng Lee Berhad. The Company bought more vessels to transport sand and other cargo and began acquiring heavy machinery to support their land fill work. Over the last thirty years, HSL has taken on land reclamation projects of increasing size and complexity acquiring complementary expertise in soil improvement works, shore protection, drainage, rural water supply and wastewater management systems. It is now capable of a wide range of complex marine infrastructure, civil engineering and construction works. It has also diversified into property development under wholly- owned subsidiary Hock Seng Lee Construction Sendirian Berhad. On 10 June 1996, HSL was listed on the construction counter of the main market Bursa Malaysia – a first for a company from Sarawak. Since its listing, HSL has shown consistently sound financial results and has been regularly ranked among the top construction companies in Malaysia for shareholder value, management excellence and profitability. In September 2018, Hock Seng Lee Berhad (HSLB) successfully completed the ISO 9001:2015 Surveillance Audit performed by an independent certification authority, Lloyd’s Register, Kuala Lumpur. This is the first Surveillance Audit after HSLB’s certification was upgraded to ISO 9001: 2015 standard in November 2017. HSLB has demonstrated high level of professionalism and the ability to comply with the new standards. 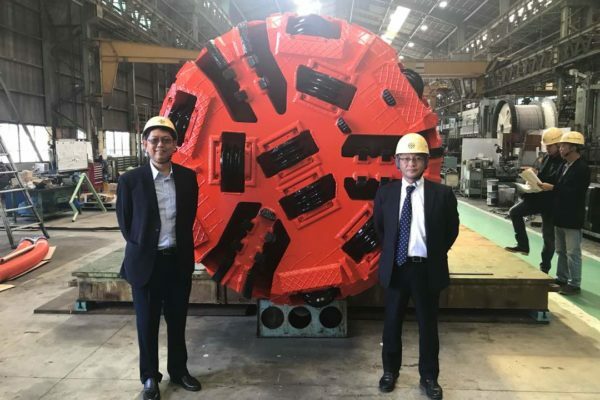 HSL owns one of the most extensive fleets of specialised marine equipment and tunnel boring machines in Malaysia. With a full complement of licences and registrations including CIDB G7 and Class A for PKK and Sarawak’s UPK, HSL is qualified for any major civil and infrastructure works across the country. Today, HSL employs over 1,000 full time staff. Its head of office is located in Kuching, Sarawak, East Malaysia where it also has a large workshop and shipyard. Other site and area of offices are located throughout Sarawak. HSL’s logo acknowledges the most versatile of earth moving and construction equipment – the excavator. Used for site clearing, drainage and earthworks, excavators have crawler tracks which can operate effectively even in swampy conditions and at remote sites. Hence, the logo represents the qualities of HSL: durability, reliability, strength, versatility and good value. In addition, the symbol of the wheel has throughout the ages stood for continuity and progress and so represents HSL’s ongoing contribution to the development of a modern society. To be a leading, integrated, professional construction company contributing positively to the development of modern environments in the region. To deliver high quality marine engineering, civil engineering, construction and property development projects on time and on budget to our clients’ total satisfaction. To maintain a high performance organisation with dedicated, competent staff who work together to provide dependable project delivery and superior business results. in compliance with our Quality Management System, our client’s requirement as well as relevant regulations. within the stipulated contract period or the shortest time possible. achieving high productivity and ef ciency in our project management and delivery system. HSL’s executive directors are hands on leaders who are actively involved in the day-to-day operations of the company as well as the strategic planning, management and business development. People are recognized as the company’s most crucial asset. Training and staff development as well as technical apprenticeships are provided for both organisational and personal career development within the group. HSL’s family trips, festive gatherings and sports as well as its newsletter, the HSL Herald, contribute to the spirit of camaraderie and family-like atmosphere cultivated by the management. Occupational Safety and Health is given top priority with a team responsible for advisory to project managers, safety briefings, assessment of needs for personal protective equipment, safety practices on site and for generally ensuring staff welfare and accident prevention at the work site. The management comprises a highly motivated and stable team of professionals and qualified technical personnel. 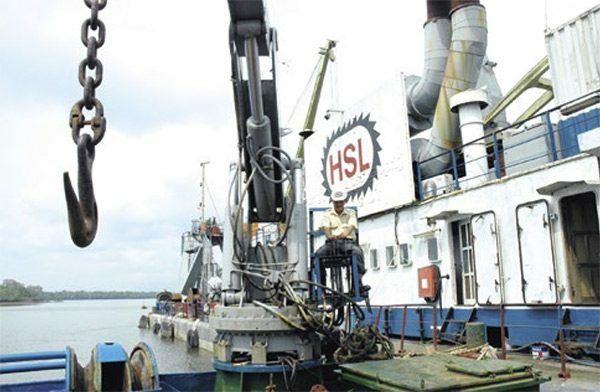 HSL’s activities, with their marine engineering emphasis, are far more mechanised than those of the typical construction company. Reliance on unskilled labour is therefore minimal. Some thirty per cent of staff hold tertiary or technical qualifications whilst many others are skilled heavy machinery operators, mechanics, technicians and ship/dredger crew. HSL has continually invested in specialised plant and machinery allowing more proficient and cost-effective operations while minimising the impact of labour shortages on the Company. At the same time, it has vast experience in logistics and transportation as well as a strong network of material suppliers and sub-contractors. HSL’s dredging fleet is among the most comprehensive in the region. 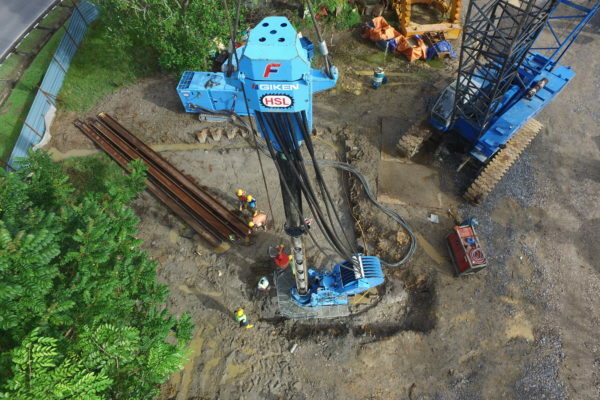 It also owns a full range of land-based construction equipment from tower cranes to hydraulic excavators, dump trucks to tunnel boring machines. Its own fleet of barges and tugboats provides convenient, inexpensive in-house transportation of marine materials, sand and machinery. Equipment downtime is kept to a minimum through rigorous maintenance schedules and on-site or at-sea servicing. Through related companies, HSL has access to the latest equipment including locally reconditioned machinery, priority service from skilled mechanics, priority fabrication of vessels and a complete range of spare parts, maintenance and repair facilities. HSL’s R&D team carries out in-house customised modi cations to equipment to maximise or enhance capacities for local conditions and keeps up-to-date with technological innovations in the industry.